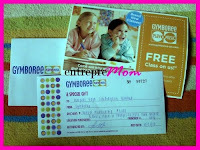 Win cool prizes from Pampers and Gymboree when you share your most favorite bonding activities with your kids. 1. Blog about this and include a link to this contest. All comments posted until January 31, 2010 11:59PM will be included in the raffle. Winners will be drawn via Random.org on February 1, 2010.